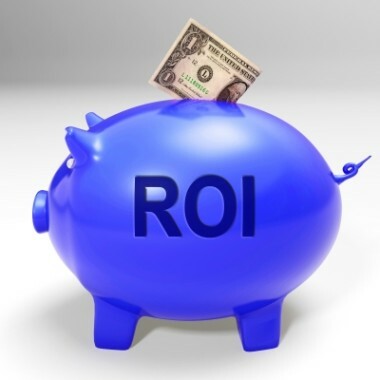 Wondering where to put your efforts (and your wallet) to grow your small business in 2015? Well, I’m here to tell you that investing in happy customers is where your dollar will be best invested. And, in addition to keeping their business, happy customers will send more business your way through friend and family referrals. Word-of-mouth is my favourite type of marketing because it’s the authentic story of how someone engaged with your brand. But keep in mind – first-hand experiences can go viral, so whether the story being told has a happy ending or ends in epic drama is really up to you, and how you manage your customers. Even if you only know a customer’s purchase history, you’re equipped to suggest other products/services. And there’s nothing wrong with “upselling” to a customer if the suggestion is informed and helpful. 2. Go above and beyond to “wow” them. You don’t need to invite your customers over for Sunday dinner, but going above and beyond makes a customer feel valued and not like they’re nothing more than a line on your financial statement. So, send them a birthday card! Forward them an article on a subject relevant to them. If you know your customers (personal details, preferences, etc.) you can go that extra step in making them feel special. And these don’t have to be expensive or time consuming efforts – just something with a personal touch. 3. Keep your promises – do what you say you’re going to do! This may seem like an obvious suggestion, but with so much going on in a day it can become difficult to keep on top of commitments. However, if you told a customer you would arrive to provide a quote at 10am, make sure you’re scheduled to arrive at 10am. Running late? Keep them informed with a quick text message or call. If you promised a customer some product samples, make sure you actually send some! Out of samples? Schedule a follow up activity for yourself in your CRM for the day your sample shipment is scheduled to arrive. Following through is important to your customers and a key to making them happy. That customer will remember the courtesy call and the package of samples they found on their door step. A CRM allows your whole team to access a shared database of your business contacts. And, unlike in accounting software, a CRM lets you allocate more than one contact for every customer or company. This also allows you to nurture the relationships you’re hoping will turn into customers. A customer calls in for an update on their balance, or a potential customer calls in inquiring into a quote. You and your bookkeeper are the only ones with access to QuickBooks, so guess who ends up taking customer service calls? You give everyone access to your QuickBooks file (brave!). Now your mobile sales team can provide quotes on the spot. But, now your bookkeeper is calling you to tell you to stop inflating your QuickBook file with “customers” who have never generated revenue. And you don’t want to anger the bookkeeper. Your customer service team is happy they have access to QuickBooks so they can call customers about outstanding invoices. But your poor staff member wasn’t aware of the email thread between you and one of your valuable customer about a payment plan. Now your customer is yelling at your staff because they have to regurgitate the whole conversation. Your employee is crying and your customer is irritated with you for not relaying the information. Not a good scene. That’s where a QuickBooks customer manager comes in. Your finances are central to your business, but everyone on your team should have access to everything in your books. 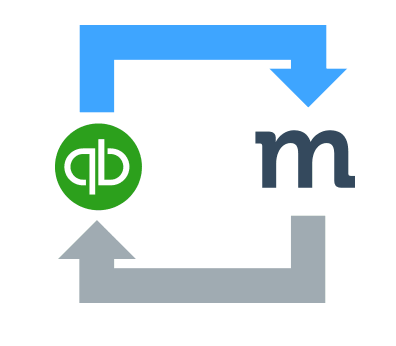 A customer manager add-on to QuickBooks provides your team access to the accounting data relevant to their role, such as transaction history and basic contact information. This not only allows your team to provide well-rounded customer support, but also influences how you manage the overall operations of your business. Because, the more your key software programs integrate (talk to one another and share information), the more streamlined your processes become and the more efficiently your staff can work everyday. Double win! Method:CRM has been a QuickBooks customer manager software for many years and we’re extremely proud to be the #1 rated CRM on Intuit’s Apps.com. In Method:CRM, your team will have real-time access to all transactions and past customer history. They can share calendars, and even assign each other follow ups. So no matter what comes up, your staff will be ready to provide excellent customer service and keep your valued customers coming back for more. To learn more about the benefit of customer tracking software with Method:CRM, check out our tour page here. Or, start a free trial of Method for a personalized walk through with one of our Customer Success Coaches.